Day 02: Cochin – Kumarakom: After breakfast check out from the hotel and drive to Kumarakom. Check in to the hotel on arrival. 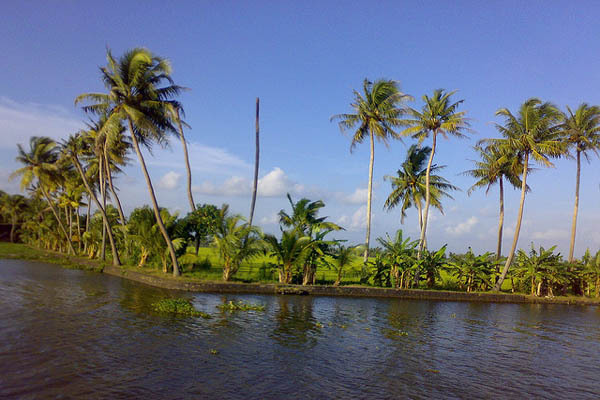 Proceed for local sightseeing in and around Kumarakom – a tiny backwater hamlet perched on the western banks of the Vembanadu Lake. The stretch of backwater is spread over 900 sq. km. Choose a canoe, motor boat or a houseboat and devour the beauty of this backwater paradise at its best. Overnight stay is arranged in Kumarakom. Day 03 – Kumarakom – Alleppey: Visit the Bird sanctuary in the morning. 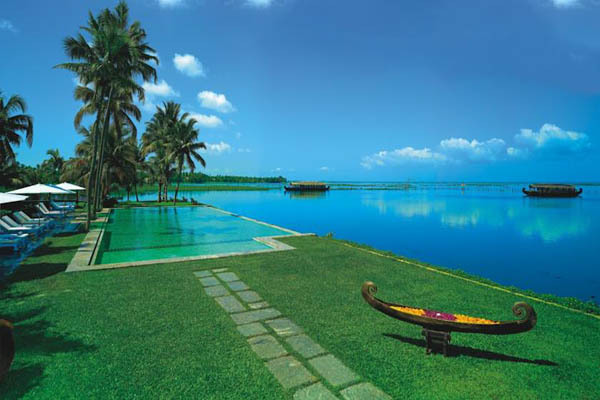 After breakfast check out from Hotel and drive to Alleppey (40 km – 1 hour drive). 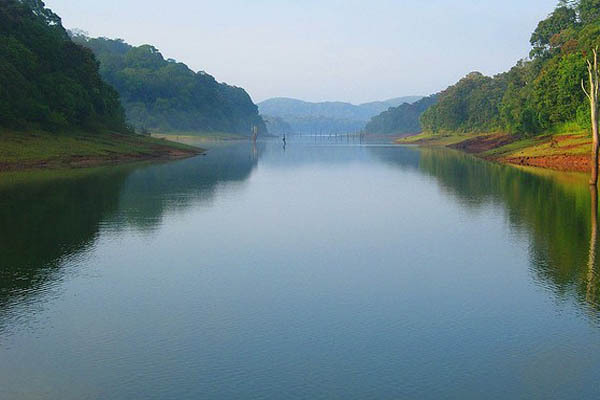 This is a quaint town flanked by the Arabian Sea in the west and has a vast network of lakes, lagoons and freshwater rivers criss-crossing it. 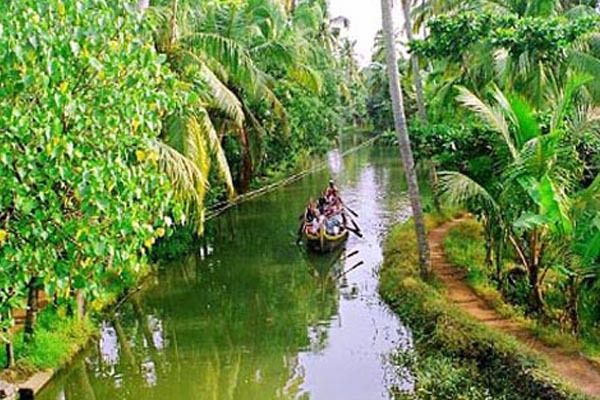 Alleppey is an important backwater destination attracting several thousand foreign tourists every year and is also famous for its boat races, beaches, marine products and coir industry. Check into the houseboat on arrival (check in time 1.00 pm). 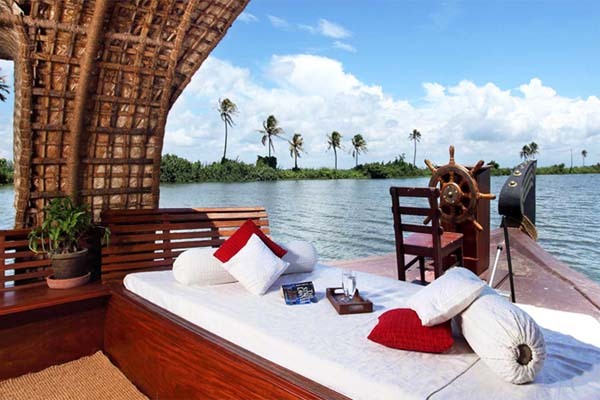 Enjoy the day with a backwater cruise on the Vembanad Lake. Overnight stay is on the houseboat. Day 04 – Alleppey – Kovalam: After breakfast check out from the houseboat at Alleppey (check out time 9.30 AM) and drive to Kovalam (180 KM – 04 Hours drive), on arrival check into Hotel. Evening enjoy at Kovalam Beach. Overnight stay in Kovalam. Day 05 – Kovalam: After breakfast proceed for local sightseeing in and around Trivandrum – an ancient city with tradition dating back to 1000 BC. This capital city of Kerala is a beautiful seaside metropolis built on seven hills. 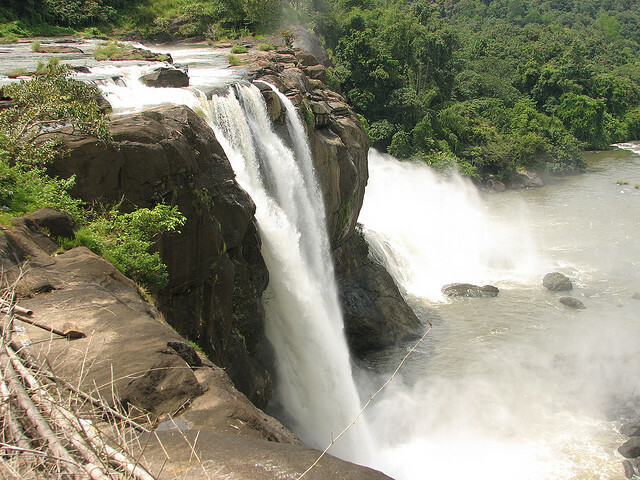 It is located on the west coast of India spreading over a total of 2,192 sq.km. Sightseeing tour is comprehensive with the visits to Padmanabhaswami Temple, Srichitra Art Gallery, Napier Museum and Zoo. Overnight stay is arranged in Kovalam. Day 06 – Trivandrum Departure: After breakfast check out from the hotel and drive to Trivandrum Airport (15 km) for onward journey. Tour ends.